Australian businesses are rising to the challenge of combating world hunger, with social enterprise Zambrero calling on an “army of burrito lovers” to help them in the fight, and reinforce the idea that business can be commercially successful and do good. According to not for profit Rise Against Hunger, the number of people suffering from hunger increased by 38 million people last year, with 815 million people – or 11 per cent of the world’s population – currently suffering from hunger. 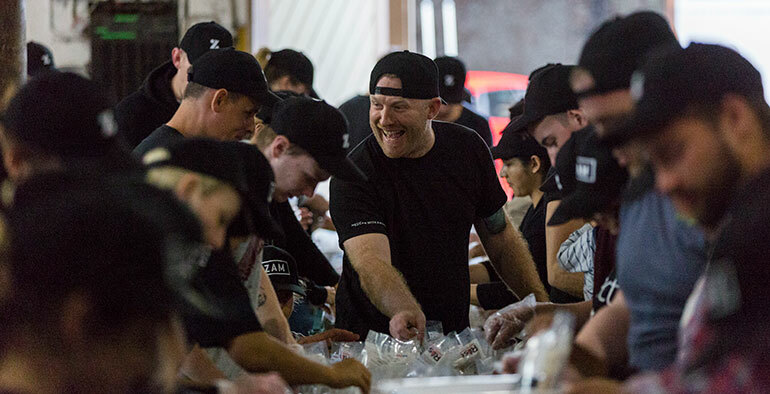 As part of its Plate 4 Plate initiative Mexican food franchise Zambrero assembled a task force of more than 1,700 volunteers across Australia to package meals for those in need and fight against world hunger for its annual Meal Packing Day. The social enterprise, which donates a plate of food to someone in need in the developing world for every burrito or bowl sold at any of the restaurants, aims to donate one billion meals by 2025. Zambrero general manager Bianca Azzopardi told Pro Bono News it was a “very ambitious goal” but social responsibility was ingrained in the business. “We absolutely believe that we have a responsibility to help those who are less fortunate,” Azzopardi said. Azzopardi said that while she understood commercial pressures can sometimes mean businesses are unable to prioritise their social impact, she suggested it could also be very beneficial from a commercial point of view. “There are rising trends in the market and the industry that now show that customers are more and more interested in using their buying power for the greater good,” she said. “More and more, customers are looking for ways that they can venture in, and in many cases prefer, to purchase from someone who is socially conscious, such as Zambrero. But she cautioned that businesses wanting to implement corporate social responsibility initiatives needed to make sure they were “genuine and true and stem from the values of the organisation”. “Very much in Zambrero our social consciousness comes from our owner and founder, it is ingrained in our value set. I think it is about starting with the roots and understanding the values of any given organisation, and if those values are aligned and there is a social consciousness that stems from that, then that is definitely something that should be used for the greater good,” she said. She said what made the Plate 4 Plate initiative successful was a combination of two things. “It is definitely the simplicity of it from a consumer point of view,” she said. “Every burrito or bowl we sell, we donate a meal to someone in need, that core message is very easy for a consumer to understand and they have to do nothing more than come in and purchase a bowl or burrito, so it is quite easy to buy into, or to assist with the program. She said Zambrero saw themselves as the facilitator. 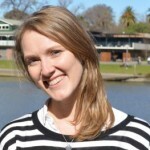 “I think one thing our owner and founder often provides for us in terms of guidance and counsel is that any program like this should be taken really seriously in terms of the method in which it is done, and there are obviously many ways that humanitarian influence or good work can be done and there are a bunch of sensitivities that need to be taken into account whenever this work is done and so our partnership with Rise Against Hunger and with Foodbank enables us to sit as the business that is actually getting there and facilitating the need,” Azzopardi said. “We see ourselves as being the facilitator. Rise Against Hunger are the true partner who actually go there and distribute the meals; they have the infrastructure to distribute those meals, they have the knowledge to distribute those meals and a really sophisticated network in which they do that. “They not only distribute meals but they are very sensitive of the local communities in which they distribute, they do more than just get there and distribute the meals, they actually run local education programs, local feeding programs, they address everything from nutrition to gender inequality, economic growth, child labour and a bunch of other different issues, so our partnership with them and with Foodbank is really, really critical. 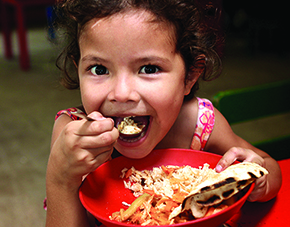 Rise Against Hunger President and CEO, Rod Brooks said by engaging its employees and customers, Zambrero was “putting its values to work” and making a significant difference in fighting hunger around the world. “At the heart of Zambrero’s mission to help end hunger is a commitment to ensuring that every child has the same opportunity to succeed,” Brooks said. This year’s Meal Packing Day, held on Friday 20 October, saw volunteers pack more than 400,000 meals to help reach this goal. Azzopardi said as well as raising awareness, the annual event was a valuable experience for consumers. “It actually stemmed from the fact that we did a meal packing event at one of our annual conferences and it was such a success, just to see everybody getting involved and see the meals being packed, there is something about the physical nature of being involved in that that actually brings home what the program is all about,” she said.